Search Results for "silver lake los angeles"
Early morning time lapse looking across Silver Lake from Downtown Los Angeles as low cloud and mist burn away. Branding and logos removed from clip. LOS ANGELES, CA, USA - JULY 2016: Tilt up to view of Silver Lake and distant mountains from Downtown Los Angeles on a misty morning. Abstract aerial shot of silver car making circles in the middle of incredible salt lake desert flats textured landscape. 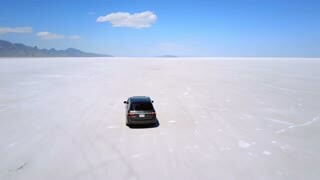 Drone follows, moves away from silver minivan car driving along incredible salt lake desert plain in Bonneville, Utah. LOS ANGELES - MARCH 3: A Silver Dragon parades around the crowds at the Lantern Festival on March 3, 2012 in Los Angeles. The festival is a popular annual family friendly event near Chinatown. LOS ANGELES - MARCH 3: A Silver Dragon dances on stage at the Lantern Festival on March 3, 2012 in Los Angeles. The festival is a popular annual family friendly event near Chinatown. 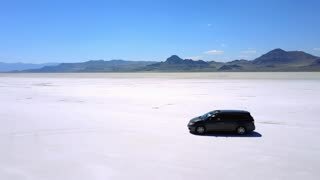 Drone following silver minivan car driving towards mountains in the middle of breathtaking Bonneville salt lake desert. 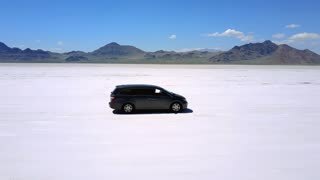 Atmospheric aerial shot of silver minivan car standing in the middle of incredible Bonneville salt lake desert flats. 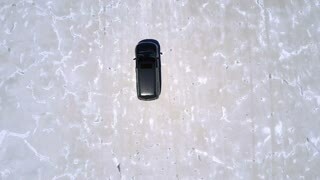 Top view aerial drone shot of silver minivan car driving along incredible salt lake desert plain with amazing texture. Los Angeles, California, United States of America - August 6, 2018: vintage Rolls Royce Silver Cloud hearse of 1950s in Hollywood Forever Cemetery. Los Angeles, California, United States of America - August 21, 2018: Beverly Hills sign in the waterlilies lake at the beginning of Rodeo Drive, luxury street of Beverly Hills in Los Angeles city. Opole Poland 07 07 2018 The “Silver Lake” (Srebne Jezioro) is a beautiful lake in the forest near the city with crystalline water and a small beach. Flying low over lake as green mountain side reflects in the water at Silver Lake Flats in Utah. Flying over lake past people lying on paddle boards at Silver Lake Flats in Utah. Aerial Frisco Dillon Lake Cityscape Colorado Sunset Clouds 4K 369. Original gold and silver mining. Tourist destination for winter ski and snow recreation. Summer for hiking, lake water sports, and tourism. Location for ski vacations. Kokanee Salmon Spawn Swim Up Stream Electric Lake Utah 4K 5113. Autumn fish swim upstream from lakes into creek and river to spawn. Turns from silver to bright red. Trout fresh water fishing and sport. Aerial Frisco Colorado Town Center Dillon Lake 4K 356. Original gold and silver mining. Tourist destination for winter ski and snow recreation. Summer for hiking, lake water sports, and tourism. Tree branch with drops. Frozen winter lake with mist in background. Silver Lake, Township of Tay Valley, Lanark County, Ontario, Canada. Signs at the DACA march at Echo Park Lake. Los Angeles, California. Drone shot of cars driving over bridge near a dam in Los Angeles, CA, near the Sepulveda Dam in Lake Balboa. La Brea Tar Pits bubbling. Oil spill lake, Los Angeles. Participants supporting DACA gather at Echo Park Lake. Los Angeles, California.